Over the holidays I grew tired of lugging around 10+ pounds of photo equipment on the chance that I might make the chance make some photos. I found myself making excuses why I wouldn’t, rather than making good opportunities to take pictures. I ended up taking more pictures with my less than awe-inspiring camera phone. Why? Because it was there, easy to carry and was bundled with something I use to keep me connected at all times anyhow. 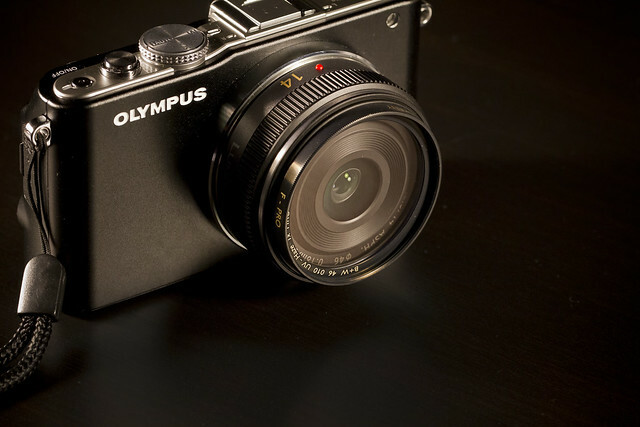 I had heard a few years ago of systems that were being developed and with my combined birthday and Christmas gifts, and the generous giving of family and friends I picked up an Olympus Micro Four Thirds Camera, the E-PL3. 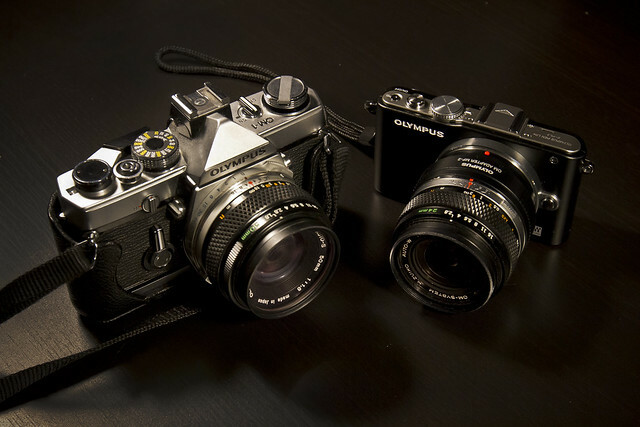 It reminds me, slightly, of my original Olympus OM-1. That 35mm film camera was given to me by my father when I was 12 or 13. With that camera I made some great memories of high school and college. I learned about depth of field, shutter speed, pushing and pulling black and white film and how that decisive moment when you fire the shutter can help to produce a variety of images. Now I’m able to take that feeling of the manual focus camera and use it on today’s technology. It isn’t quite the same, and the lenses that are built for the micro four thirds system are infinitely more pocketable. I’ve picked up a few pancake lenses to take with me. Three lenses, two batteries and the bag weight less than just the body on my Canon 7-D with the lightest lens I have. I’m hoping to make some great images in 2012.